How old does that picture say you are? The picture of me in Cuba it got right within a year; one of me on my 65th birthday it said 75, and one of me at 62 with my grandson on my shoulders it suggested I was 37. It also said 37 for me with a beard at 26. Re: How old does that picture say you are? 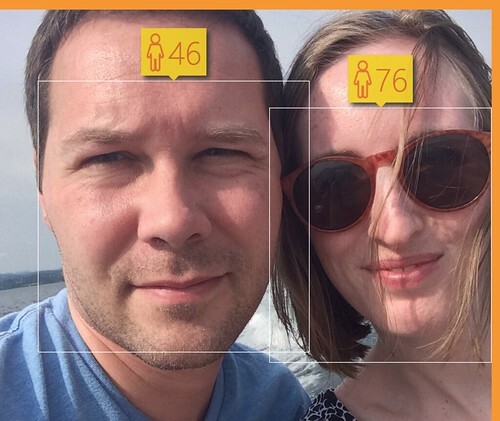 I did my FB profile pic and it hit my age right on the head, but it failed to recognize my husband at all. Which was odd, since more of his face is in the photo than mine. I'm good with Microsoft not owning my face, thanks. I submitted a montage of all the Dr. Who actors. except for the War Doctor: listed him as 99. I tried Angela Merkel (whose photos, to be fair, are often photoshopped to make her look younger), but how old she looked seemed to depend mostly on her facial expression. I don't know, it looks like a completely useless, but not even very surprising or novel feature. Everyone knows that you can look vastly different in photos depending on your facial expression and the lighting. 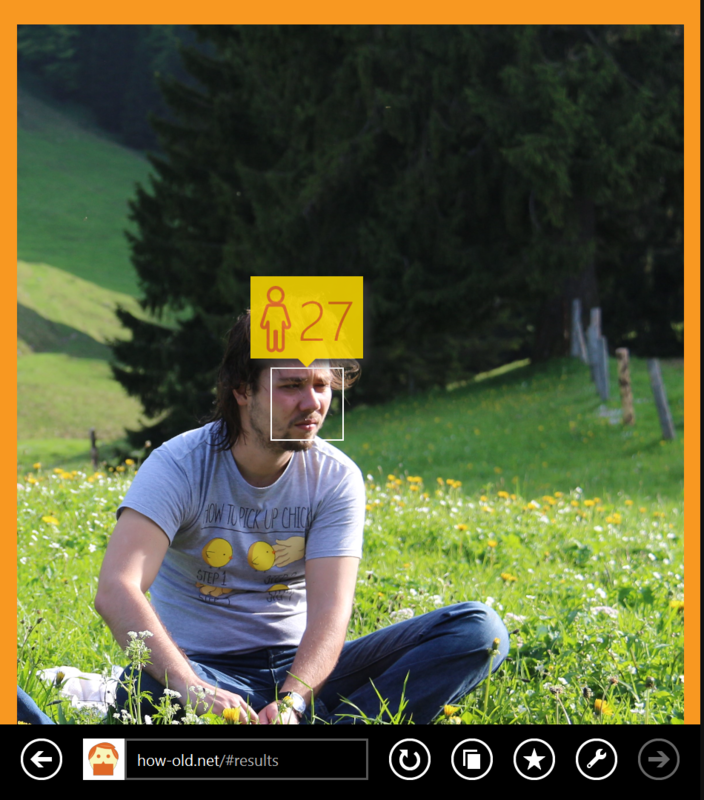 The question is rather "How old does this algorithm say you are in this picture?" It seemed to assess me as around ten years younger than I actually am. One outlier made me seventeen (it was an older pic but I was in my late twenties when it was taken). Possibly it is confused by East Asians. Wouldn't surprise me, I think Western perception of East Asian age is pretty shaky. Possibly because we're trying to apply our indicators which aren't always relevant. I know I'm terrible at it and have done embarrassing things because of it. 42, consistently and with multiple pictures. Which is odd because I know for a fact that I look younger than I am. Maybe my glasses are throwing it off. 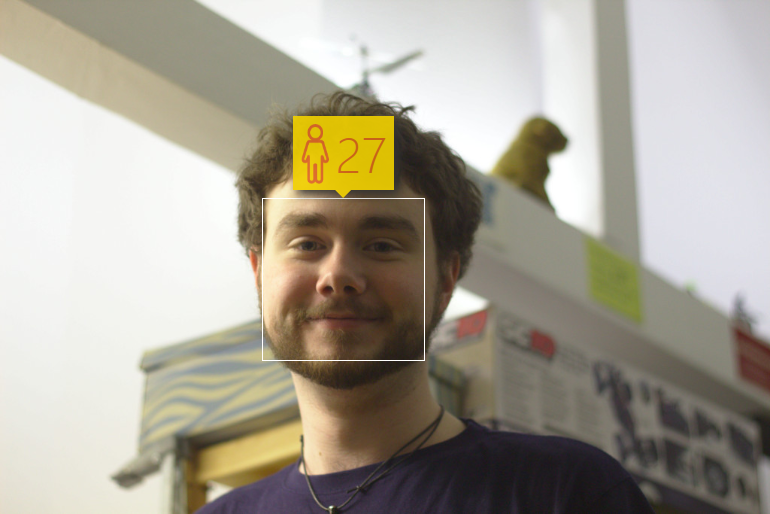 Well, it's consistent with everybody saying I look older than the twenty I am.